To be quite honest, it is about time that a mobile payment company decided to bring their application to BlackBerry considering how many business users are out there, and how much potential there is for the applicaiton on the platform. Yesterday PayAnywhere, a mobile payment processing company, announced their new BlackBerry application which will allow people to accept payments while on the go. There are several other applications and accessories which aim to do the same, but PayAnywhere has taken it to the next level. Not only have they come in with the lowest rate in the industry for processing fees, but from what I have seen in using the others available for other platforms, they also have incorporated the most features by far. BlackBerry users can now easily create receipts, accept payments, and more while on the go right from their beloved BlackBerry device. No business is to large or to small for PayAnywhere, so if you are interested in accepting payments while on the go, be sure to hit the break and check it out in action, and get one for yourself today! PayAnywhere brings enterprise-grade mobile credit card processing solution backed by 24/7 customer support to BlackBerry smartphone users across the U.S.
NEW ORLEANS (International CTIA Wireless® 2012) and TROY, Mich. – MobilityWire® – May 8, 2012 – PayAnywhere (www.payanywhere.com), a leader in mobile point of sale solutions, today announced availability of its highly anticipated mobile payment application and credit card reader for BlackBerry smartphones. With a complete set of mobile payments features, around the clock customer support and an online Merchant Portal, PayAnywhere is the most comprehensive mobile payment solution available in BlackBerry App World. Vendors and merchants using BlackBerry smartphones can use PayAnywhere, the payment industry’s only enterprise-grade, no compromise, “pay-as-you-go” mobile payment solution suited for any merchant. Created after two decades providing credit card processing to merchants of all sizes, PayAnywhere’s mobile point of sale (POS) technology helps merchants improve cash flow, boost sales and help save money with keyed transactions. Setting up a PayAnywhere account is fast and easy. 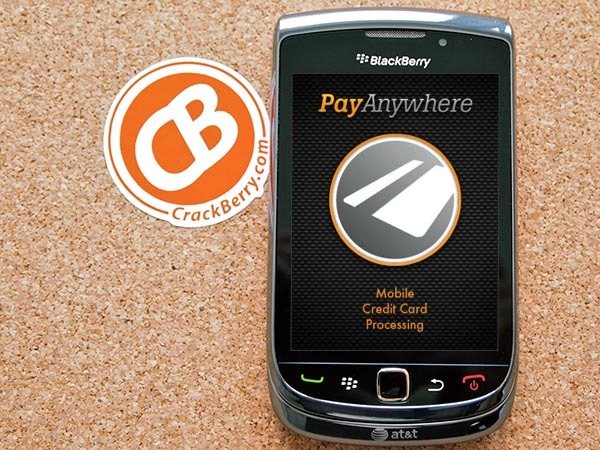 A merchant simply visits BlackBerry App World to download the free PayAnywhere app, and follows the in-app instructions to sign up for the payment service and to receive the free card reader accessory. With PayAnywhere there are no hidden fees; no setup, monthly or cancellation fees. For smaller merchants, PayAnywhere also offers a pay-as-you-go pricing plan with no monthly minimum processing requirement. Merchants using PayAnywhere enjoy a low 2.69% transaction fee and the fastest payouts in the industry, with transaction funds typically deposited in merchant accounts within two business days. PayAnywhere is also available to merchants using iPhone®, iPad® and Android™. Merchants looking to accept mobile payments should visit PayAnywhere at www.PayAnywhere.com/accept-credit-cards for more details. Visit PayAnywhere at CTIA WIRELESS® in New Orleans, Louisiana, May 8-10 in booth #4454. Created by a multi-billion dollar credit card processing company with more than two decades of merchant payment processing experience,PayAnywhere is powering a payments revolution with its enterprise-grade,“pay-as-you-go” mobile payments system. PayAnywhere’s mobile point of sale (POS) technology combines the industry’s most comprehensive enterprise-grade features with 24/7 customer support. From billion dollar enterprises to the neighborhood garage sale, merchants of all sizes turn to PayAnywhere for highly secure, feature-rich, affordable mobile payments systems that expand and enrich their ability to conduct business. For more information visit www.payanywhere.com.